Upon receiving the software, Apple's overseas assemblers will be able to install it on the finalized hardware and prepare it for shipping. The latest version of iOS will come preinstalled on both the fifth-generation models of the iPhone and iPod touch, set to be released in the coming weeks. That's consistent with numerous rumors that have claimed Apple is gearing up for an October launch for its fifth-generation iPhone. One report from earlier this month similarly indicated that iPhone 5 hardware is being stocked without packaging at overseas assembling plants because Apple is not yet ready to install iOS 5 on the devices. For its part, Apple has only publicly promised that iOS 5 will become available to iPhone, iPad and iPod touch users this fall. The company does not discuss future products, and has not officially confirmed the existence of the anticipated "iPhone 5" or fifth-gen iPod touch. 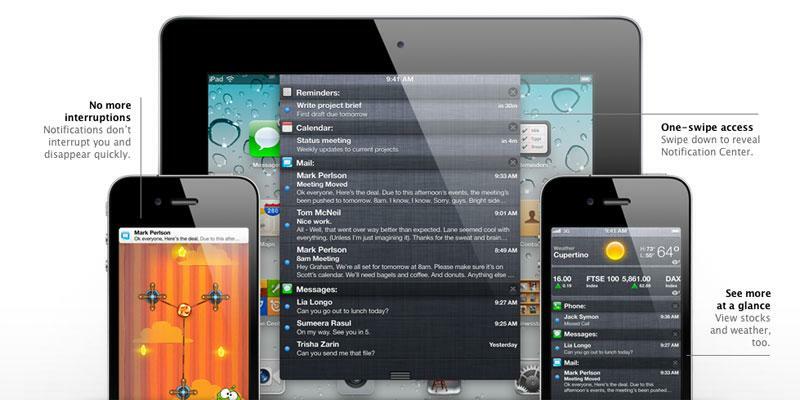 Developers are currently working with the seventh beta of iOS 5 released earlier this month. The pre-release software contains bugs and is meant only for developers to test App Store software and ensure compatibility with new features. Apple has already highlighted a number of new features that will be found in iOS 5, including the all-new Notification Center, iMessage application, and a new PC-free design that allows over-the-air syncing through iCloud and wireless software updates. The company is also believed to be working on additional, still-secret functionality that has yet to be publicly revealed, including advanced voice recognition and commands. For more on iOS 5, see AppleInsider's extensive coverage of the operating system update in Inside iOS 5.